Dr. John Okwesie Arthur is Chartered Accountant and a member of other Professional bodies. He has over two (2) decades experience in the field of Accountancy and teaching Accounting, auditing and other related subjects. He worked with the Internal Revenue Service as a Chief Inspector of Taxes(Tax Audit), Egala, Atitso & Associates (Moores Rowland) as an Audit Senior, Accounting Associates(Chartered Accountants) as a Director. He also worked with Scanstyle Mim Limited as the Operations Manager, Furnat Ghana Limited as the Financial Accountant. John is a holder of MBA (Finance) Degree from the University of Hull (U.K.). He is also a Member of the Chartered Institute of Taxation, Ghana (MCITG), and Member of the Ghana Institute of Management. 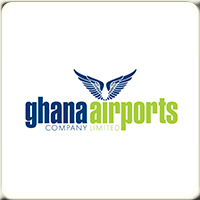 A member of Association of Airport Internal Auditors of USA and the Institute of Internal Auditor both in Ghana and USA. Holder of Doctorate of Science degree in Accounting from the Atlantic International University in USA. A Holder of International Airport Professional (IAP) of the Airport Management Professional Accreditation Programme (AMPAP). He is married to Mrs Patience Okwesie Arthur and with three children, Jessica, Caleb and Phebe.